InCreditable Advisors has earned the service industry’s coveted Angie’s List Super Service Award, reflecting an exemplary year of service provided to members of the local services marketplace and consumer review site in 2014. Service company ratings are updated daily on Angie’s List. Companies are graded on an A through F scale in areas ranging from price to professionalism to punctuality. 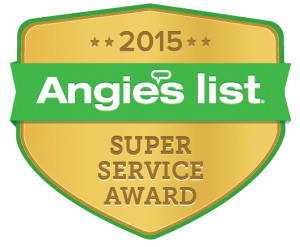 Members can find the 2015 Super Service Certification logo next to company names in search results on AngiesList.com. InCreditable Advisors is a reliable, professional, and experienced Full Service Credit and Debt Consulting Company. We are fully licensed, registered, and bonded as required in every state in which we operate. Does “Free” Credit Monitoring really work for Me or Them? I am so pleased to have found InCreditable Advisors to help me with my credit. Miguel really has the consumer best interest in heart. He broke everything down to me what I needed to do to help me with my credit at no cost. Additionally, he let me know I did not need his services. I still tried to pay him for his great advice that he gave me but he would not accept the money. Rarely do you find people who are honest and truly willing to help you. Thank you Miguel for all of your help. You are truly amazing. You have given me hope that there are still good people in this world left. I will definitely update you in a few months on the status of getting into my first home. I just want to think Miguel for giving me hope again, I thought there was no way I was going to get this fixed as fast as we thought. My experience with INCREDIBLE ADVISORS was amazing. he was able to get everything off my report .I'm so thankful I gave him a chance to help me and feeling new again .. I had my meeting today with Miguel and all I can say is it was life changing. I recommend him to any one who is looking to take their personal or business credit to the next level. Not only will he inform you of what you need to do but he will let you know what is needed to succeed in life. Miguel you changed my life today. Amy and Miguel were wonderful. We started with credit we thought was hopeless. We got nowhere on our own months before we tried this service. Within 2 months of using the service the results allowed us to get a pre approval on a brand new house in 1 day if putting in the application. We had a couple of accounts that were charge offs with balances we thought we'd have to pay but they managed to get the credit companies to remove them all together. Our scores went from the 500 up to 700 range. People I can't tell you enough Credit Karma is a joke!!! Credit Karma works for the credit card companies. InCreditable works for you! They treat your credit like it's their own! They produce major results. They lived up to their promise for sure. It was worth every penny we spent and the advice was so invaluable!! They can get your credit where ever you want it to be without you having to pull your hair out trying to figure it out yourself. Can’t say enough about Miguel and his staff! Very professional and always there when I have a question. I had bad credit and in four short months and doing what I was told to do I am now getting a home loan! It’s well worth the money because these guys will help you accomplish yours goals and get you back on track!